I had trouble following my Facebook feed last week. All the Spring Break selfies of bare feet propped on lounge chairs with the beach/pool/sunset in the background felt a little gratuitous. Fortunately my son was home from school, so my computer access was limited. I was also busy with the stay-home week we’d planned as a family. While they don’t photograph as well as a cabana by the shore, our small traditions keep the family fires burning. We played tourist in our own back yard. 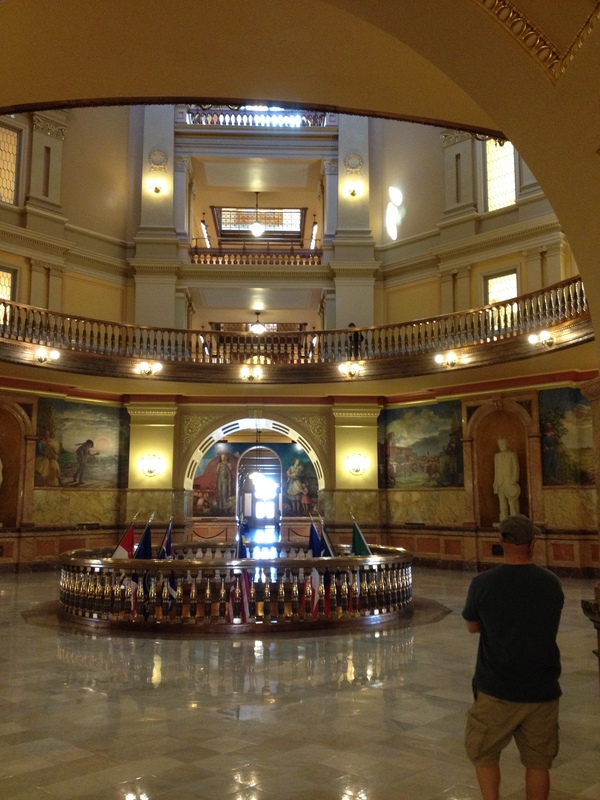 I chose Topeka for a day of sightseeing because, though most of my family had been to the Statehouse, I had not. I wanted to stand in the middle of the building and look up at its newly renovated dome. I got much more than I bargained for. 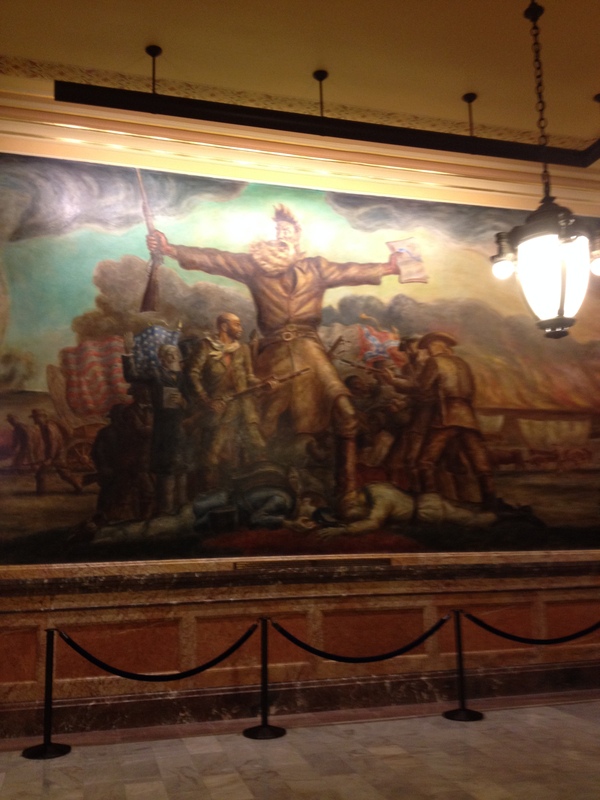 Murals of Kansas history cover the Statehouse walls. John Brown doesn’t look quite so mean in this picture. 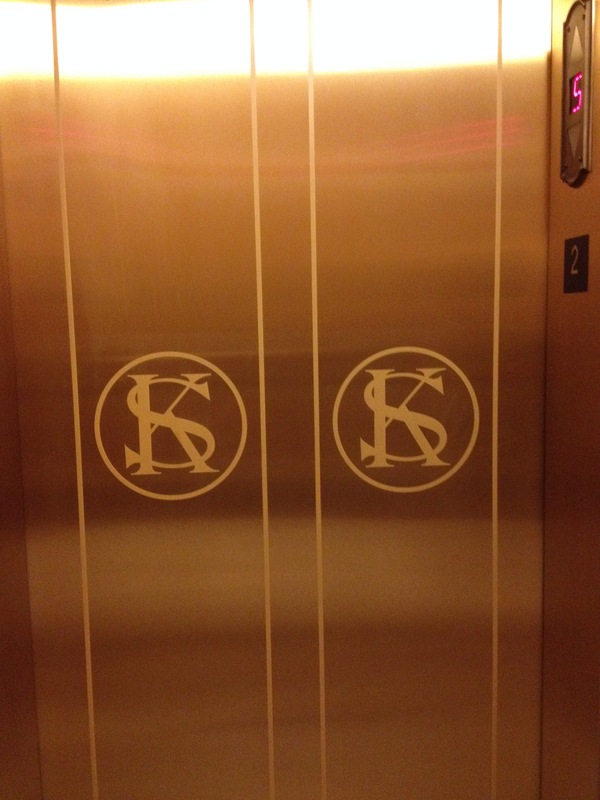 I noticed this KS logo in use all over the building, including on these elevator doors. We celebrated someone else’s heritage. 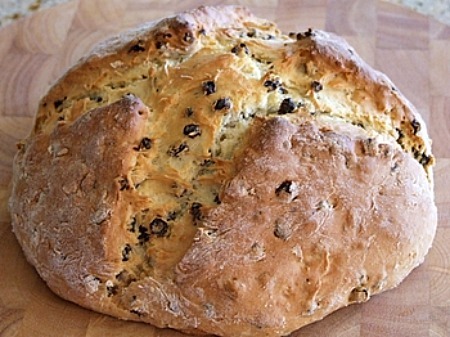 Every year on St. Patrick’s Day, I make corned beef and potatoes, and Irish soda bread. We also wear green so we won’t get pinched. I understand that none of this is fundamentally Irish. Welcome to America. My husband loves the St. Patrick’s Day meal. He looks forward to it, and takes seconds of everything. The kids put up with it because they must. I feel conflicted: Love the soda bread. Not so much on sour pink beef. Photo from recipegirl.com. My soda bread never looks this pretty. We shopped for clothes with my mother. This tradition began when I had three kids under age six. Over the years, it grew from necessity to pleasure, as we handed the squirming boy off to my dad and took the girls to the mall for the day. Now that they’ve stopped growing, we don’t strictly need the big spring shopping trip, but nobody wants to give it up. We visited our past. In elementary school, my oldest daughter took a creative writing class in Prairie Village. The class met for two hours every-other Friday afternoon, and since Prairie Village was fairly far away, it didn’t make sense to drop her off and go home. Instead, we stayed to play. This would all be old news if it weren’t for my sentimental son. He loved those Friday afternoons, so once a year we drive up to Prairie Village and recreate them. We start with a snack at Panera. This part has changed a bit over the years. When the kids were little, I could get away with drinks all around and a shared bagel. This year my son ordered macaroni and cheese, and still had room for dinner. Across the street in Corinth Square, The Learning Tree toy store fascinates us. 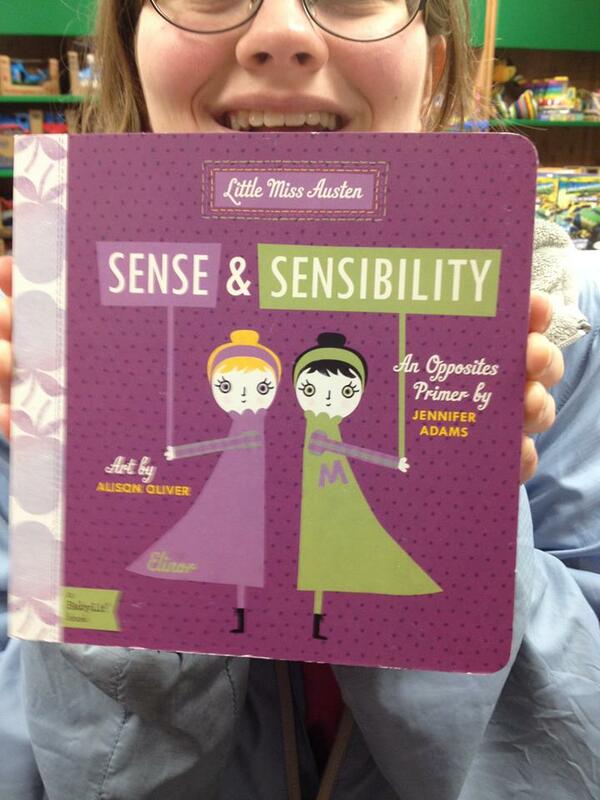 This year we found: Jane Austen board books, a stacking-doll tic-tac-toe board, stained glass coloring books, and plush hedgehogs ranging in size from finger puppets to pillow pets. Are hedgehogs a thing now? Nobody told me. Other toys we’ve discovered at The Learning Tree include: Madame Alexander dolls, Playmobil sets, hippity-hops and Chinese handcuffs. We move on to The Land of Paws to visit the puppies. The dogs are all purebreds, and I’m not too sure where they come from, so we’re never going to take one home. But nobody minds if we sit on the bench and watch them play. When the puppies lose our interest, we make our last stop: Corinth library, home to my favorite fiction section in the Johnson County system. These days I might be there for the books, but back then it was all about the bin of plastic dinosaurs in the children’s department. My son could spend twenty minutes at a time with those creatures. This time, the dinosaurs were gone. Back in the days of the creative writing class, I didn’t always look forward to Friday afternoons. Sometimes two hours felt like forever, especially if someone else’s kid was hogging the dinosaurs. But my daughter learned much more than writing skills from her creative little class, and thanks to Prairie Village, the rest of us made out all right, too. Spring break is over. My kids are back at school and my husband has several business trips planned for the coming months. This is such a fractured season in our family’s life, I’m glad we spent some family time while we could. What do you do with your family time? It’s a bit cliche, but if you don’t mind the crowds, Kansas City tourist sites like the Nelson-Atkins and the zoo are also fun. Oh, I agree, Traci! The Nelson-Atkins is one of my favorite places. It’s great to live in a place with so many things to do and see. I grew up in Prairie Village and spent many hours at the Corinth Library! Loved that place! And it sounds like you all had a great week! We did, Kala. We love your home town! I love how you make the “spring break at home” a time of fun as well as education. I’m thinking I need to visit the Corinth Library some day for an artist’s day out. That’s a great idea! To be fair, other library branches–such as Shawnee–are more beautiful. But you can’t beat the Corinth book collection.